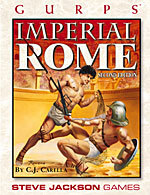 Explore a world of adventure and intrigue, gladiators and glory. The sprawling Roman Empire is full of campaign options, from orgies in the decadent Roman villas to battles with pirates off the coast of Sicily. As an adventurer in the Imperial Age of Rome, you can . . . Journey through the narrow streets of the greatest city in the world. Haggle with shop owners, debate with senators on the floor of the Forum, or run through dark alleys with the infamous Roman gangs. Fight gruesome battles as a slave gladiator in the Colosseum – clashing with other warriors or dangerous beasts. Or race your chariot around the Circus Maximus, cheating death and vying for Imperial favor. Visit exotic provinces like Greece, Egypt and Asia, and meet traveling thinkers, merchants, soldiers and mysterious natives – from the barbarian Celts of northern Britain to the nomadic Berbers of Africa. March to war with the Roman legions, defending the borders against Carthaginian invaders or the savage Huns of Asia. 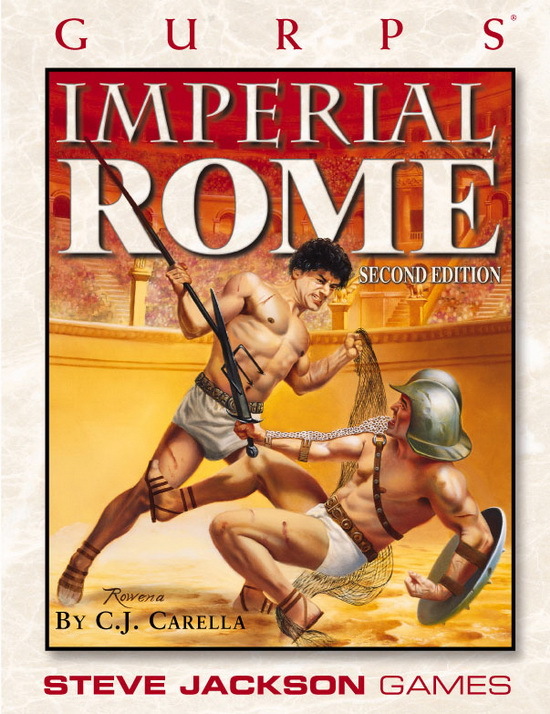 GURPS Imperial Rome also includes maps of Rome and its provinces, adventure ideas and much more . . .